Gluttony – The Piglet, Sat 17 Feb. There are huge amounts of comedy, theatre, cabaret and circus for Adelaide audiences to select at the Fringe, but the choices are limited for those in the deaf community. Ray Bradshaw presents a hilarious, accessible and fascinating stand up comedy both in spoken word and Sign Language every show. 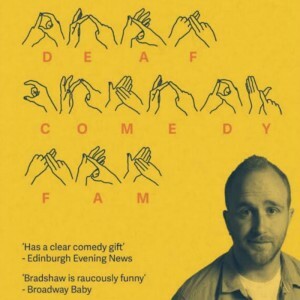 Hailing from Scotland, Bradshaw has travelled throughout the UK, Singapore, Malaysia and Australia with Deaf Comedy Fam and believes it is a world first presenting a show in Sign Language and English. The strength of the show is the insight Bradshaw provides into his childhood growing up with two deaf parents and the misconceptions people have about the deaf community. Stories of early responsibilities translating for his parents with financial institutions, medical professionals and his school were absorbing, but the jokes his family members played on each other provided the biggest laughs. Due to the challenge of signing and speaking at the same time, the majority of the show is pre-recorded, which means there are limitations in the ability to improvise, but Bradshaw did allow some time at the end to speak or sign to members of the crowd. The show is rough in its presentation, especially compared to some of the better-known comedians, but the essence of a great comedy show is there. 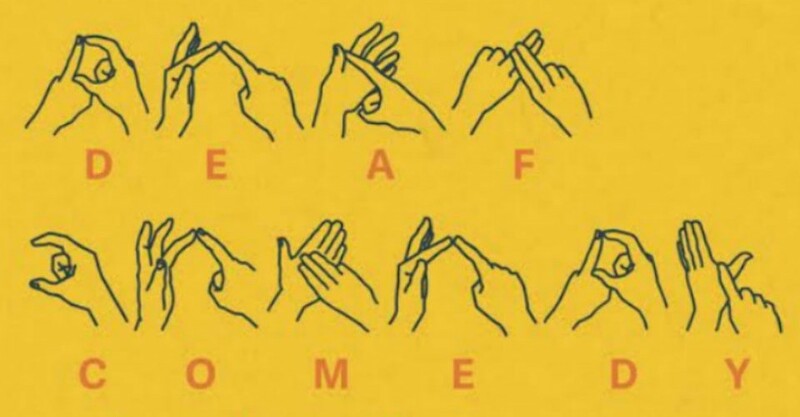 I do hope Deaf Comedy Fam has been well promoted within the deaf community so more people can access and enjoy stand-up comedy at the Adelaide Fringe, but it is just as enjoyable, and possibly even more interesting for audiences with hearing who have had limited experience with the deaf community. Deaf Comedy Fam continues at Gluttony – The Piglet from 6pm until Sun 4 Mar. A hilarious, accessible and fascinating stand up comedy both in spoken word and sign language.